As the MAN is not currently registered, we went back to the old fashioned way of camping using our Hilleberg tent, and loaded everything into the little Subaru Outback, including the dog. The campsite is right on the river, and it's called "Lakeside". Cost is $20 per night for a couple and that gives you shower/toilet and firewood and an absolute river frontage location. We went on a normal weekend (i.e. not school holidays) and there was only one other couple camping there, right away on the other side of the site. There is a couple of KMs of dirt road to get to the site, but you'll get in there with a 2WD no problems. The firepit is a little Snow Peak unit. Made of stainless steel and one of the best additions to our camping kit ever! 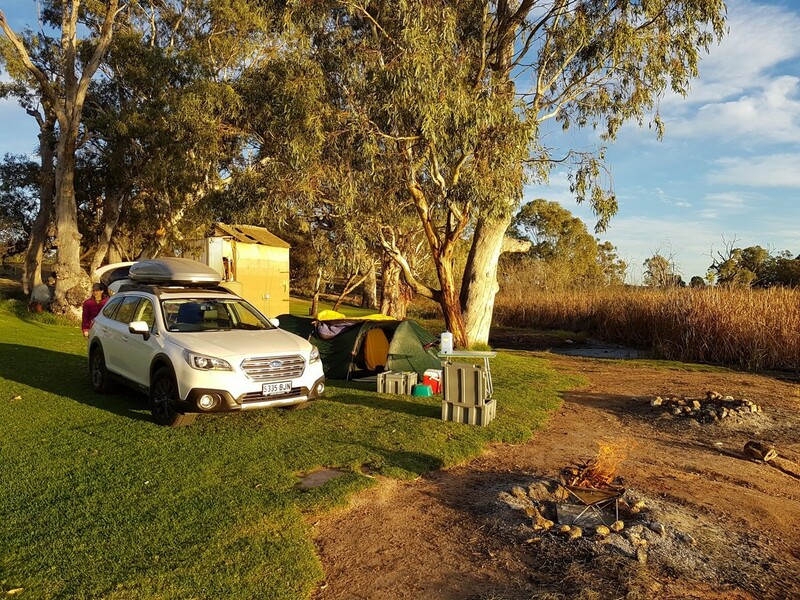 Dear Becky & David, What a lovely way to spend some time in the great South Australian outdoors. Many thanks for the excellent photographs. I always admire your joint "get up and go" which sees you going off camping to so many spots. Some near. Some far. The new Subaru is certainly an ideal acquisition for this type of journey. My love to you both, Ross/Dad..